After getting a decent knowledge of what Ruby is and the useful resources that are available, lets get into action by creating our first hello world program. 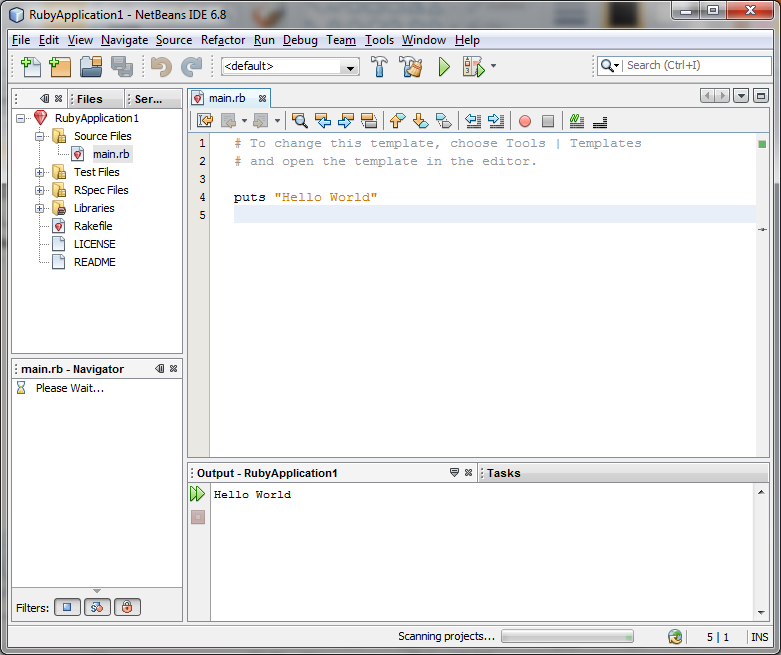 Ruby and Ruby on Rails development becomes amazingly easy using Netbeans IDE where you can perform almost all the tasks in one single IDE. 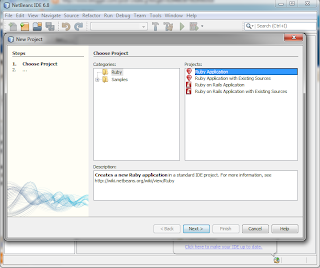 Download and install the Netbeans-Ruby version. You should be having JDK installed in your box, thats pretty much the pre-requisite for Netbeans to install. 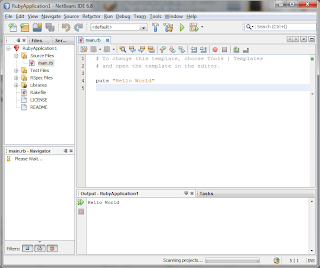 Once your installation is done, launch Netbeans go to File --> New Project. A new project wizard should come up. 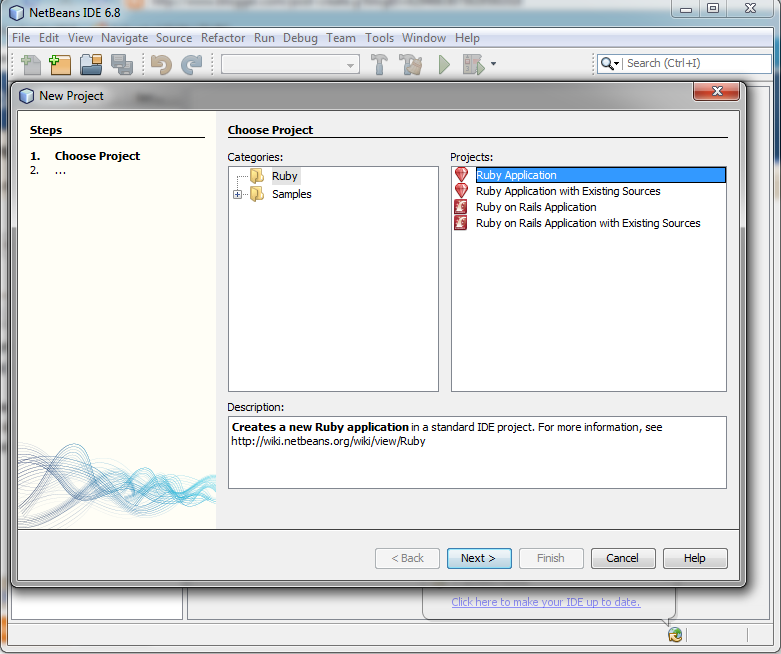 Select Ruby Application, click Next and click Finish. Thats it!!!! You dont even have to type a Hello World. The new project template does it for you! So sweet isnt it? Now, click on the big green Run button and the console should print out Hello World without a hitch. Way to go!! We shall try out some simple programs in the coming posts. Before we jump into the real discussion on Ruby and Ruby on Rails, I felt it will be nicer if I could provide some of the very good books available out there. Programming Ruby 1.9 is the starter pack that everyone who is willing to work on Ruby has to go through.